It’s time for our annual Christmas Day roundup: the ten most popular bikes from the past six months on Bike EXIF, the world’s biggest custom motorcycle site. This time Triumph is the winning marque, with three machines in our Top Ten. Honda and Moto Guzzi share second place, with two apiece. So without further ado, here are the smash hits from the second half of 2011. 1. Victor Sultana’s Honda CB550 café racer (above). The surprise hit of the year. But was it really a surprise? A classic café racer, immaculately restored and beautifully photographed. 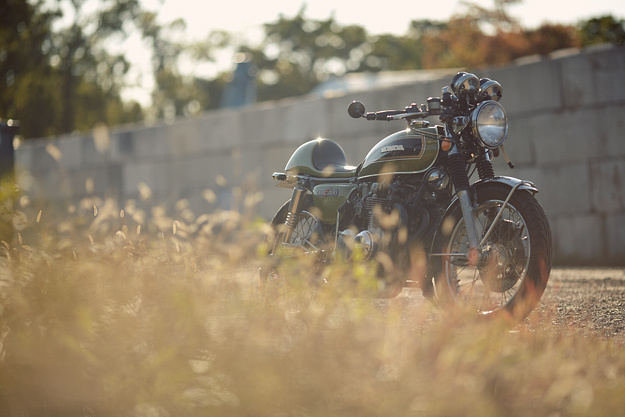 In many ways, this lovely 1975 CB550 is the distillation of what Bike EXIF is about. It was the most popular bike on the site by far in the second half of 2011. 2. Olivi Motori Triumph ‘Weslake’ (above). Our second biggest hit was much more contemporary in style. 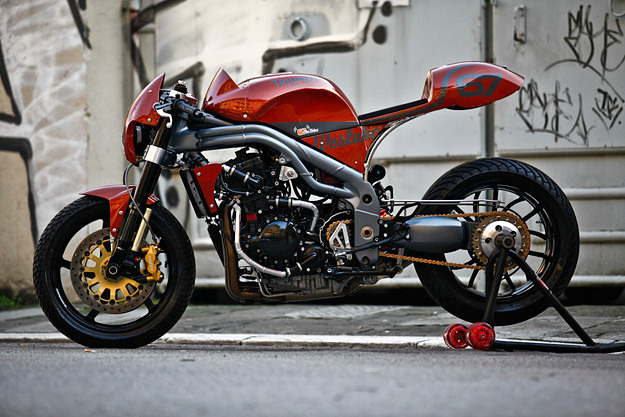 Built by a Triumph dealer from from Florence in Italy, it’s based on a T509-spec Speed Triple. The Weslake connection may be tenuous, but the appeal of the bike itself is undeniable. 3. 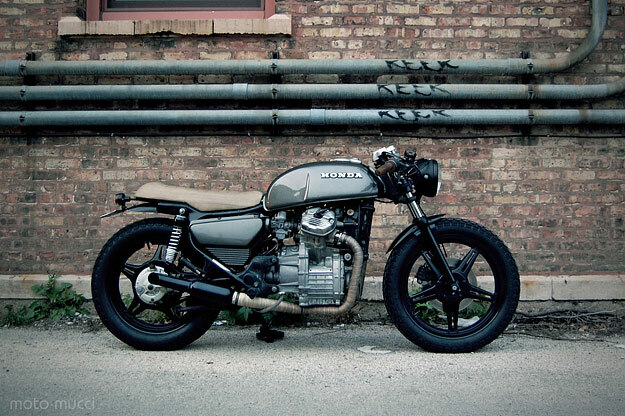 Dave Mucci’s Honda CX500 (above). This machine was a crash course in motorcycle mechanics for its owner. But what a job he did. The CX500 is increasingly popular in the custom motorcycle world, and this is the best example we’ve seen. 4. 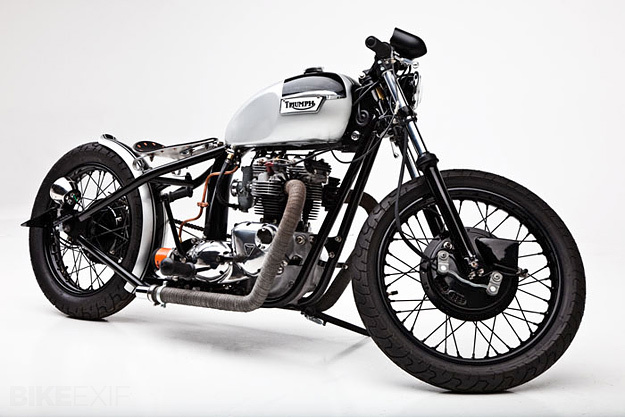 Helrich Custom Cycles Triumph Tiger (above). Arizona-based HCC hit the ball out of the park with this 1973 hardtail. It’s packed with custom fabricated parts and beautifully detailed. Luckily for us, Helrich took great care with the photography too, showing off the bike in the best possible light. 5. Drew Scialpi-Sullivan’s Yamaha XS400 (above). It’s usually Yamaha’s XS650 that gets the custom treatment. 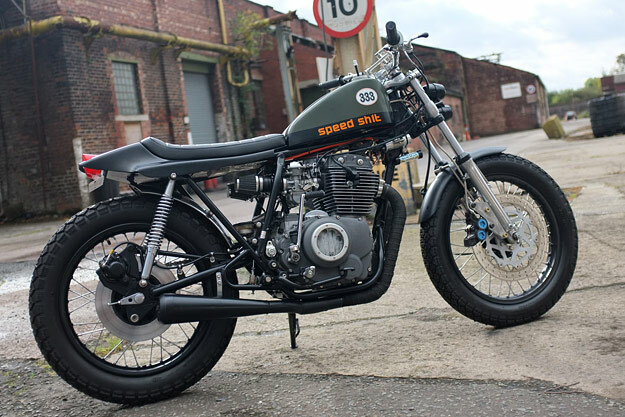 But this sharp tracker from England, with an XS400 motor in an XS250 frame, proved that size isn’t everything. 6. 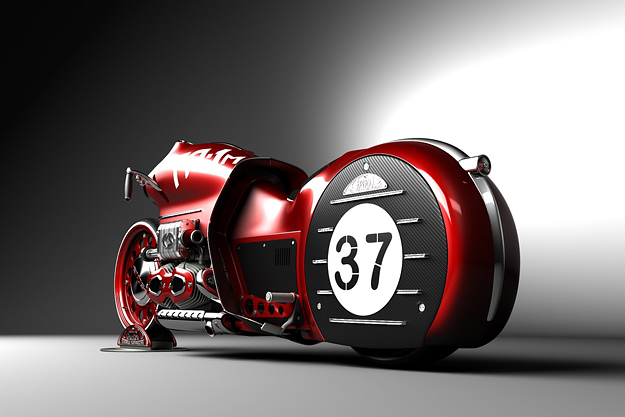 Mikhail Smolyanov’s concept motorcycles (above). 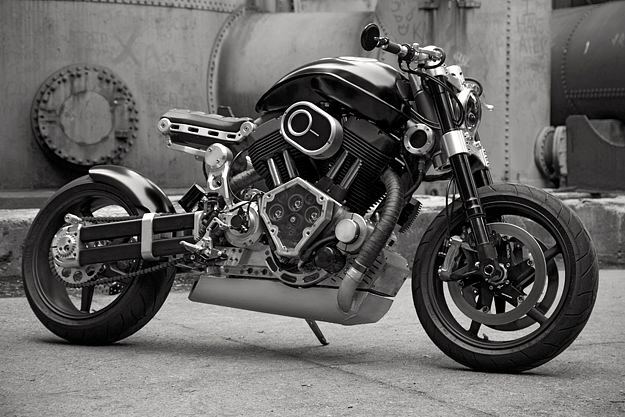 We hardly ever feature motorcycle concepts because their impact has become dulled over the years. But these renderings, from a visionary Russian designer, are streets ahead of the usual Photoshop scamps—and almost melted down the servers. 7. Officine Rossopuro Moto Guzzi Stevio (above). Filippo Barbacane is a regular on Bike EXIF, and his bikes are always popular with our audience. But this machine was a departure from his usual café racer style. 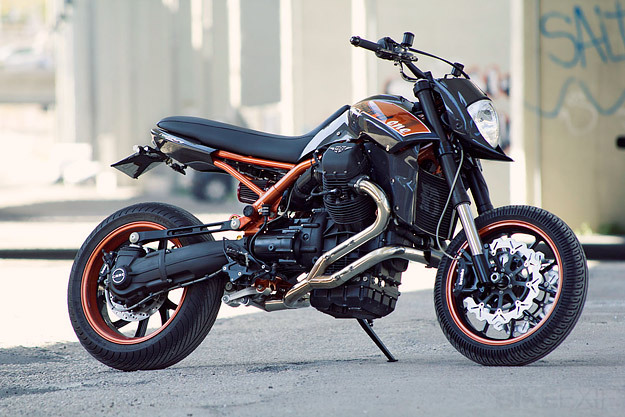 Who’d have thought Mandello’s chunky adventure bike could be turned into a high performance supermotard? 8. 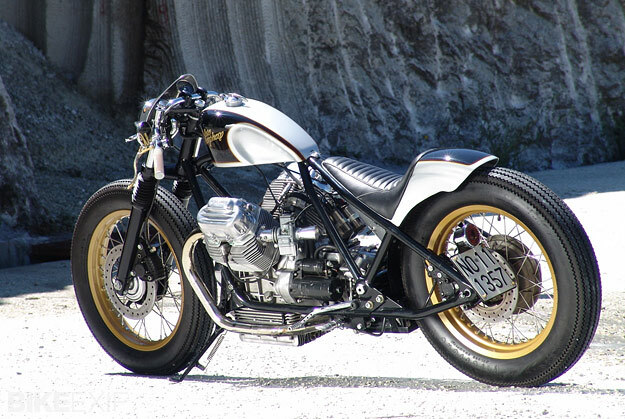 Chopworks’ Moto Guzzi 850 T5 custom (above). ‘Motomorphosy’ started life as an 850 T5, and ended up as a vintage American-style bobber. The bike won “Best Cafe Racer” at the Italian Bike Expo show, and “Best Italian Bike” at the German Kustom Kulture show—and was equally popular with our readers. 9. Confederate Hellcat X132 (above). Confederate’s motorcycles have always incited strong opinions, and the latest development of the Hellcat was no different. Some loved it and some hated it, but people just couldn’t leave this one alone. 10. RSD Triumph Scrambler 900 (above). 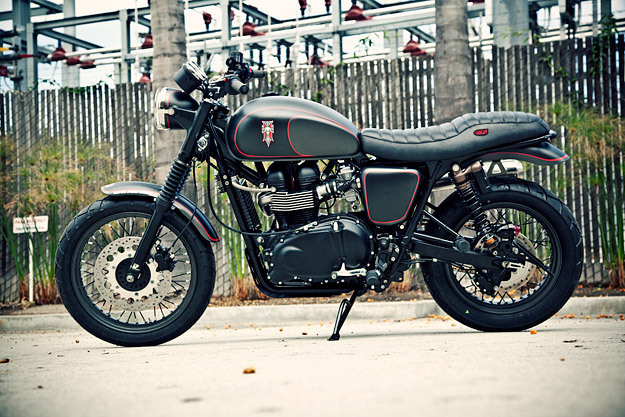 The third Triumph in this Top Ten came from left field, via Roland Sands Design. By RSD’s standards it’s a relatively muted update, but it struck a chord with readers. Built for the Tony Hawk Foundation, it’s a ‘real world’ custom, revealing how a stock Scrambler can be enhanced over time using carefully-selected component upgrades. The second honorable mention goes to Winston Yeh, who runs Rough Crafts in Taipei. “Guerilla”, his Harley-Davidson Sportster custom, is still generating a huge number of hits almost 18 months after we first noticed it. Congratulations to the builders of these motorcycles. Are there any machines you’re surprised not to see listed? PS: A warm welcome to our latest sponsor, Progressive Suspension—the largest aftermarket motorcycle suspension manufacturer in the United States. You can check out their catalog here and keep up to date with news via their Facebook page. Progressive is sponsoring our new Search and Archive pages, which are a good way to get your fix of Bike EXIF while posts are light over the holiday period.